Happy Lunar New Year everyone! I wish you all a prosperous year, be healthy and wealthy :) Don't forget to enjoy the little moments. Don't forget to eat. Be happy, be marry! Don't drag yesterday's worries and problems, because each day has it own problems :) God bless you all, have a great year. I wish BIGBANG all the luck they could get :) Since Yong (aka dragon) is the head of the group, I hope BIGBANG will do well in this Dragon year. JiYong oppa, please be well :) BIGBANG HWAITING! happy chinese new year ci oline! Happy Chinese New Year! 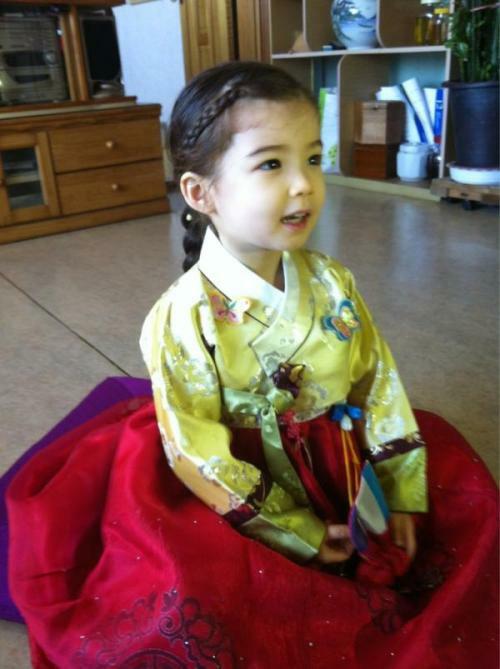 Errr, but isn't that a Korean national costume instead of the traditional jibao, hehehe..
ngawwwss she is so cute!